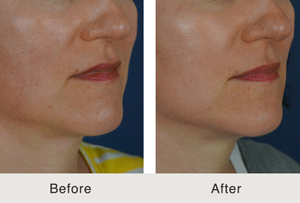 Restylane is a gel-like material that is injected into the face to restore volume. Some may ask how this simple concept can improve balance and shadowing on the face, and for my patients seeking dermal fillers in North Carolina, I want to explain how it works. How Does Restylane Improve the Balance of My Face? As we age, the face loses fat and bone. As we lose these structures, the face deflates similarly to a balloon that constantly loses a small amount of air. As the balloon loses air, it begins to form wrinkles and sag. With aging, the face undergoes a similar process, though with the addition of volume, the face can be filled, lifted, and wrinkles smoothed. Restylane is a hyaluronic acid. Hyaluronic acid is a naturally occurring substance that composes the extracellular matrix in the body. The extracellular matrix is responsible for supporting the cells of the body. Restylane is composed of a naturally occurring substance in the human body, making it very safe for all patients to undergo. Where is Restylane Injected in the face? Restylane is a safe product and can be injected anywhere in the face. There are areas that are more sensitive to injections than others due to the thinness of the skin. Obviously, Restylane in Charlotte cannot be injected in the tissues directly surrounding the eye. What are the Common Areas Restylane is Injected? Can Restylane Improve My Eye Bags? As a facial plastic surgeon in Charlotte, I commonly inject Restylane around the eyes of my patients to smoothen the bags underneath the eyes. It blends with the groove that causes the eye-bag camouflaging the bag. What if I don’t Like the Restylane? Can Restylane Be Removed? Patients always want to know of the worst case scenario and want to know what their options are if they do not like their Restylane. Restylane can be injected with an enzyme, hyaluronidase, which instantaneously dissolves all of the previously injected Restylane. If a patient doesn’t like how they look after getting Restylane in North Carolina, it can be easily removed. This is a difficult question to answer because Restylane is slowly absorbed by the body. I tell people the real question is how often you have to have Restylane injected. I believe patients like to have the area re-injected after 60% of the Restylane has been absorbed. Depending on the area of the face, this will be every 6-12 months. Areas of the face that move more frequently (the mouth), will dissolve the Restylane faster than non-mobile areas (temples). No. If you receive injections of Restylane in North Carolina before 100% of it has been dissolved by the body, you should require less on your follow-up treatments. How Much Does Restylane Cost in Charlotte? There are a wide range of prices of Restylane in Charlotte. Restylane is priced per syringe. Each syringe contains 1ml of product. If you are having a specialty trained facial plastic surgeon do the injections, it will likely cost more than a person of less education. Also, the price can vary between the first and subsequent syringe. This depends on the location, age of patient, and the amount of volume loss. It can range from 1 syringe to over 20 syringes. What is Unique Regarding the Technique to Inject Restylane in Charlotte at Carolina Facial Plastics? Restylane has been traditionally injected with a needle. A needle is painful, traumatic, and can cause bruising. At Carolina Facial Plastics, we injected Restylane with a blunt tipped microcannula. Since the microcannula is blunt at the end, it causes less trauma resulting in a more comfortable experience and less risk of a bruise. How Much Restylane Does Dr. Kulbersh Inject at Carolina Facial Plastics? 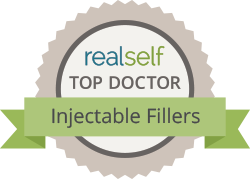 Dr. Kulbersh is a leader in injectable fillers in Charlotte. He is currently one of the highest volume injectors of Restylane in North and South Carolina. 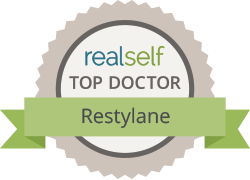 Why Should I Choose Carolina Facial Plastics To Have My Restylane Injections? When considering the person you trust to inject a substance in your face, I would choose wisely. Dr. Kulbersh is a Beverly Hills fellowship trained facial plastic surgeon. He worked with best Restylane injectors in Beverly Hills. He worked with facial plastic surgeons, plastic surgeons, and Dermatologist that injected Restylane. He was able to take the best skills from each specialty to create his unique injection techniques. Can I Get a Consultation and Restylane Injections the Same Day? It is possible to have your consultation and injection on the same day. When scheduling your appointment, you must tell the receptionist that you are interested in having the injection the same day. This way your appointment is scheduled in such a manner where the Dr. Kulbersh has time to do your injection. How Can I Get My Restylane Injected By Dr. Kulbersh? You can call (704) 842-3644 or email [email protected] to schedule a consultation regarding Charlotte Restylane. At Carolina Facial Plastics, we’re extremely confident in our abilities to provide patients with the most natural and youthful results possible. To learn more about how we can help you, please contact our office today to make an appointment.